Searching the internet and evaluating the content are important skills for students today to master. However, many elementary teachers are understandably nervous about sending kids to Google to research. KidRex is one solution! 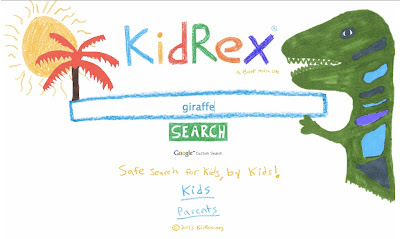 KidRex uses Google Custom Search and Google Safe Search technologies to maintain a database of kid safe websites and keyword searches. 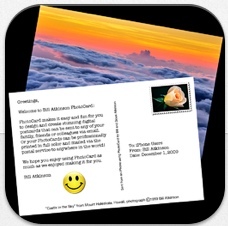 PhotoCard (also called Bill Atkinson's PhotoCard) is an app for creating postcards with text and an image. There is a Lite version and a Full version that are both currently free. The full version includes 200 nature photos, 200 stamps, and 400 stickers. The lite version is the exact same app, but only has 10 nature photos, 20 stamps, and 20 stickers. Students can choose one of the built in photos or insert their own. You can create an account for using the app to actually mail postcards. However, students can simply save the image to the camera roll (by tapping the "Actions" icon in the bottom right hand corner and choosing "Share Postcard"), so no account is necessary. Use the app in portrait mode to see the entire card at one time. Holding the iPad in landscape mode shows only the front or back. Share research about an animal. Document discoveries from a science experiment. Share research about an historical person, place or event. Summarize or review a story. Great for lessons on imagery and description. Have you used PhotoCard with your students? Leave me a comment below. I'd love to hear how you used it!